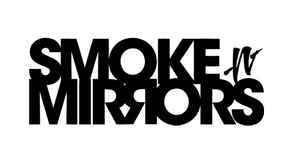 Smoke N´ Mirrors is the underground house music imprint of San Francisco’s Om Records. An amalgam of Disco, Deep House, Detroit Techno and avant-garde Dance Music, the label designed to satisfy the most discerning audiences. Consistently blurring the lines between multiple genres, Smoke N’ Mirrors is home to a wide array of influential artists including Hot Toddy, Wagon Cookin’, Shiny Objects, Lance DeSardi, Mike Monday and Al Velilla.